Howells Direct is one of the UK’s pioneers of telephone-based legal advice. 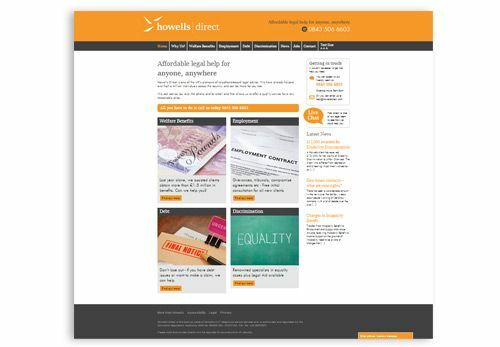 We were given the task to design and build a WordPress website for Howells Direct after working with Howells Solicitors on their print and digital marketing. The Howells Direct site is now more customer focused and user-friendly, it features a Live Chat plug-in as an additional route of contact.